Continuing my two previous CodeIgniter tutorial articles. On this occasion, I will discuss how to create a simple CRUD application using CodeIgniter framework for beginners. Codeigniter is a PHP framework that is suitable for beginner. All libraries for develop application have been provided by CodeIgniter. The concept of MVC on CodeIgniter allows a beginner to code neatly and regularly. Follow the following tutorial. In the previous article, I have discussed the basic knowledge of what is CodeIgniter and MVC concept on CodeIgniter. If you are a beginner who learning about this PHP framework, it’s good first to read my previous article to follow this article correctly. 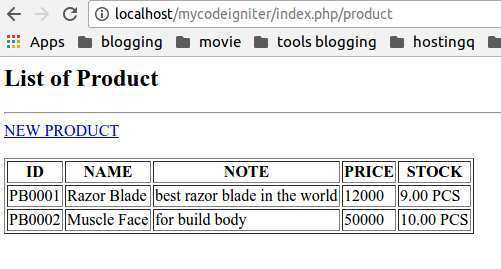 To understand more detail our CodeIgniter tutorial, we will make a simple CRUD application to display product list, add, edit and delete data in the product database. In this CodeIgniter tutorial, will be divided into several step like the following table of contents. 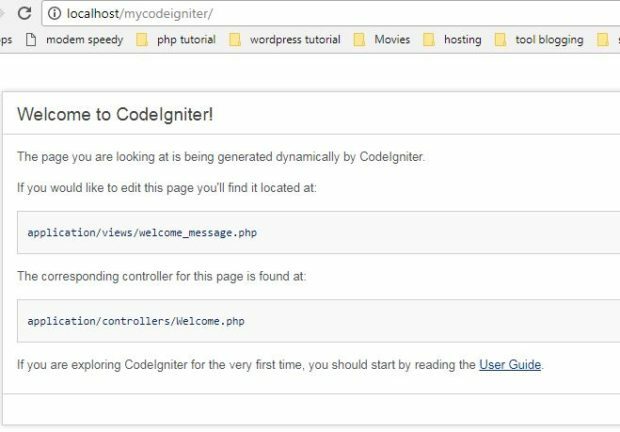 I have discussed in full how to install CodeIgniter in the article “Introduction – PHP Codeigniter Tutorial For Dummies Step By Step.” Please download Master CodeIgniter on the official site. Then extract and create a new project named mycodeigniter. Next, we will tell the CodeIgniter about what libraries we need during the development process. This configuration contained in the autoload.php file in the “application/config folder”. How to connect CodeIgniter and MySQL using PDO is quite easy. You just need to add the following settings to the database.php file in the folder (application/config/database.php). If successful then the system will display the product list as shown below. The task is to invoke the view to display the input form. 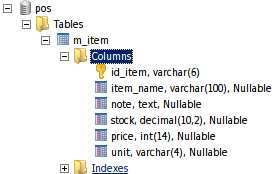 To communicate with the database, create new function in the product_model.php to save new data to “m_item” table. The two processes will be discussed at this step is the process of retrieve data from the database and update process to change the existing records. Like my previous CRUD tutorial, where the user will select the product to be edited. Then customize the product with the new data and then the save process will update the database. This function stores the result of data changes and passes it to the model to update the items in the database. Anchor is a function in the helper URL in Codeigniter library used to create a link. In the last section of this CodeIgniter tutorial, I will explain how the process of deleting data from the database. The last step is create anchor to execute the delete function, please add the following script to product_list.php view. Please save and run the application in your browser. Up to this point, the CodeIgniter tutorial for beginners with CRUD examples has been completed. If you have some advice or want to ask question for me, please fill the comment form below. Thus my article about tutorial how to create simple CRUD apps with codeigniter for beginner, hope useful. Where’s your code and form for the “Add New Product”? where is the download link for the source code? this link “http://wp.me/a65Dpx-Vs” always redirect to this page.